SMS marketing works for schools, and it should be a marketing technique used in every grade level. Mobile marketing is highly beneficial in a number of ways, both within and out of the institution. Using cell phones to communicate with staff, other schools and other districts, students, parents and more, text message marketing enables quick and effective communication for a number of different functions. And it really works. SMS marketing works for elementary schools, middle schools and high schools and even colleges and universities. Schools small and large can greatly benefit from the use of a school text messaging campaign. How Can SMS Marketing Benefit Your School? 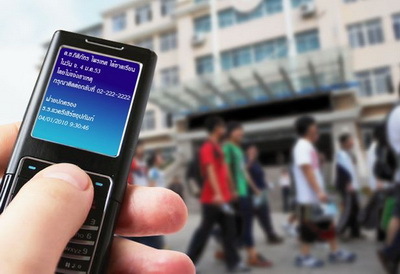 There are numerous methods of using SMS marketing for your school. Take a look at some of those ways. The best thing about SMS marketing is that it is instant, so you can reach someone in a hurry. Considering that 85% of all people in the US have a cell phone they keep on them all day long, using text message marketing is an excellent way to reach out and touch someone. Another benefit is that SMS marketing is that it is cost-effective. Schools always seem to be on tight budgets and in need of more funding; with SMS marketing you can easily reach one to one hundred people at a matter of a few cents per message. Those that you send marketing messages to are those that have subscribed to receive the messages, or ‘opted-in.’ Make sure that you do not send a message to anyone who has not opted-in to receive those messages. It is also important that you use your text message services to your advantage, and never to spam people. Only send text messages when there is something that you really need to announce. In other words, do not send out 10 messages each day or to simply make random statements. Send the messages at the right time. Even as a school there are right and wrong times in which to send the messages. Make sure that you also remember not to send messages before 8 a.m. or after 10 p.m.
We can talk and talk and talk more, but it is the facts that speak for themselves. Take a look at some of the SMS marketing stats. 98% of all SMS marketing messages are read by the recipient, and within 4 minutes of them being sent. SMS marketing is faster than emails, and It is much more successful. Only 22% of all emails are read, and it is certainly not as quickly as an SMS Message. Schools can use SMS marketing in a multitude of ways, and approximately 23% of all schools across the US use it. As you can see the enormous amount of benefits of SMS marketing at your school are certainly very exciting and as you begin using the service you will discover each and every one of them for yourself. Do not go another day without receiving the benefits of SMS marketing for your school. Also remember that you are sending messages on a professional basis and as a representative of the school. Keep things professional at all times, and make sure that you never send messages that are friendly in tone or nature.